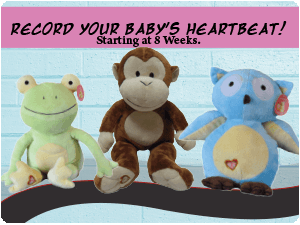 At 4D Peek a Boo of Pensacola we can record your little ones heartbeat in one of our adorable stuffed animals. These are great keepsakes or gifts for a deployed daddy or grandparents out of town. We have many different types of animals for you to choose from.